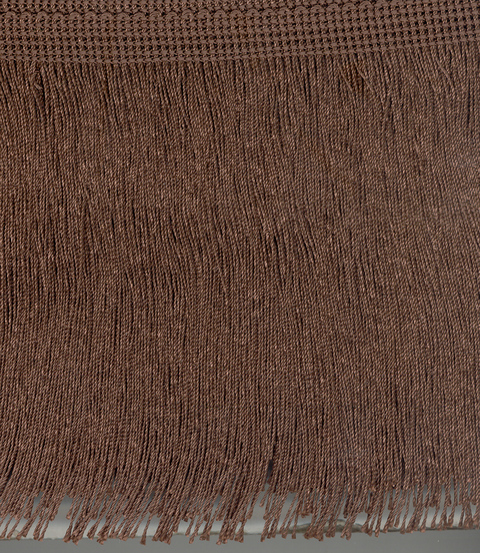 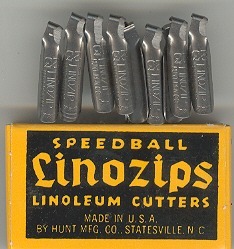 The cutters are made of specially tempered steel. 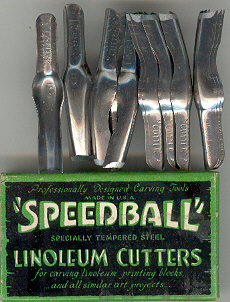 They are for carving linoleum, printing blocks, and all similar art projects. 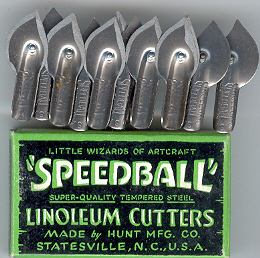 Speedball Lino Cutters (Box x12) No4. 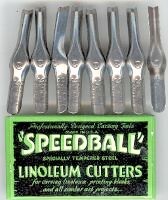 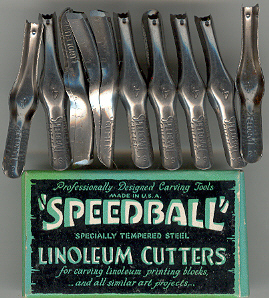 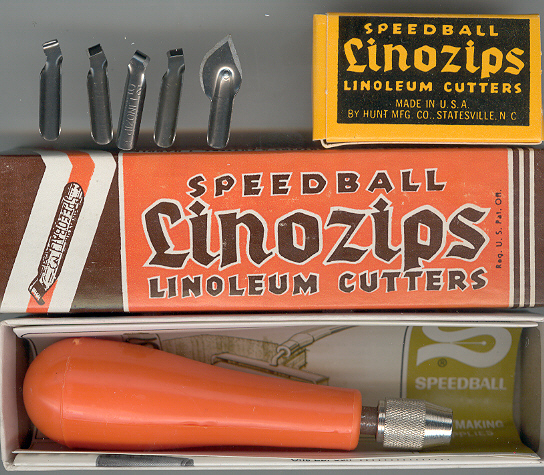 Speedball Lino Cutters (Box x12) No5. 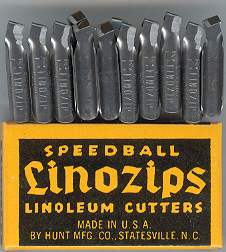 These are safe "pull type" cutters made of the finest quality steel.